Date nights have to be really creatively planned around our house as we have four kids and lots going on. I knew I could spoil my man when we were invited to try out Fogo de Chão as grand opening was fast approaching! Hubby is normally in bed by 8 as he gets up super early to work out. When I told him about the opportunity to check it out, he decided that he would drink some extra caffeine to stay up later! Hubby is a meat eater! I loves meat! He knew that Fogo de Chão was opening soon and couldn’t wait to check it out… so this was the PERFECT date night! 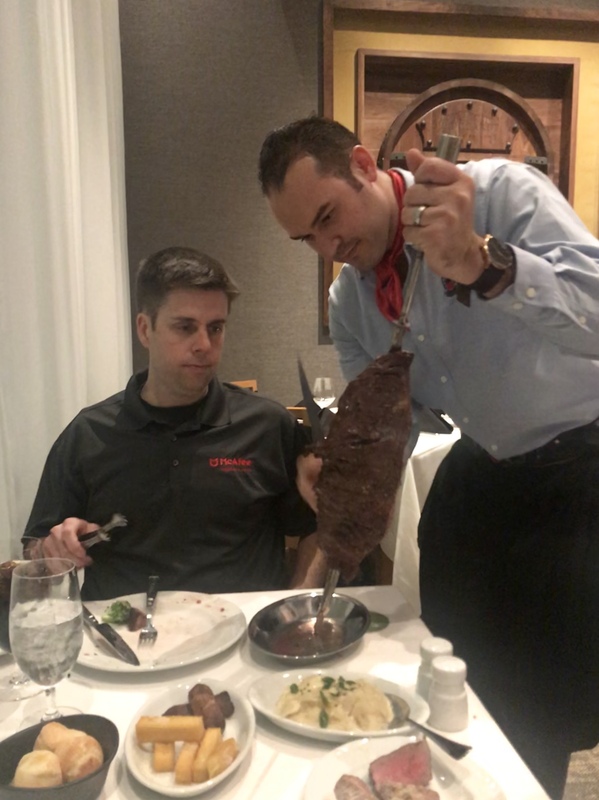 He passed on eating after lunch, even though his belly was hungry… as he knew he would enjoy the awesome service at the Souhtern Brazilian steakhouse! I had never been to a restaurant like this and didn’t know what to expect. He had! We were greeted and quickly seated where our fun experience started. The waiter explained to use that we would simply need to flip a coaster over if we wanted more meat! Servers are constantly making their way around the restaurant cutting off generous portions of meat. In the center of the restaurant was a market table fill of vegetables, salads, meats and cheeses. 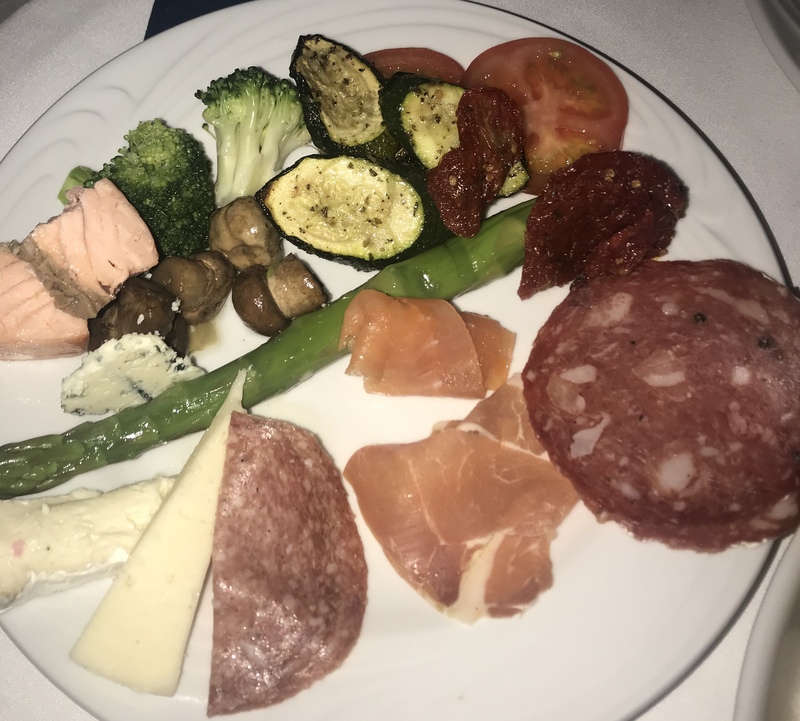 While hubby was enjoying all of the meats, I filled up a plate of yummy cheese and salad. Also brought to our table was cheese bread, garlic mashed potatoes, and crispy polenta. That bread is gluten free and to die for! After enjoying our fill on yummy veggies, cheeses, and TONS of meat, we were offered dessert. 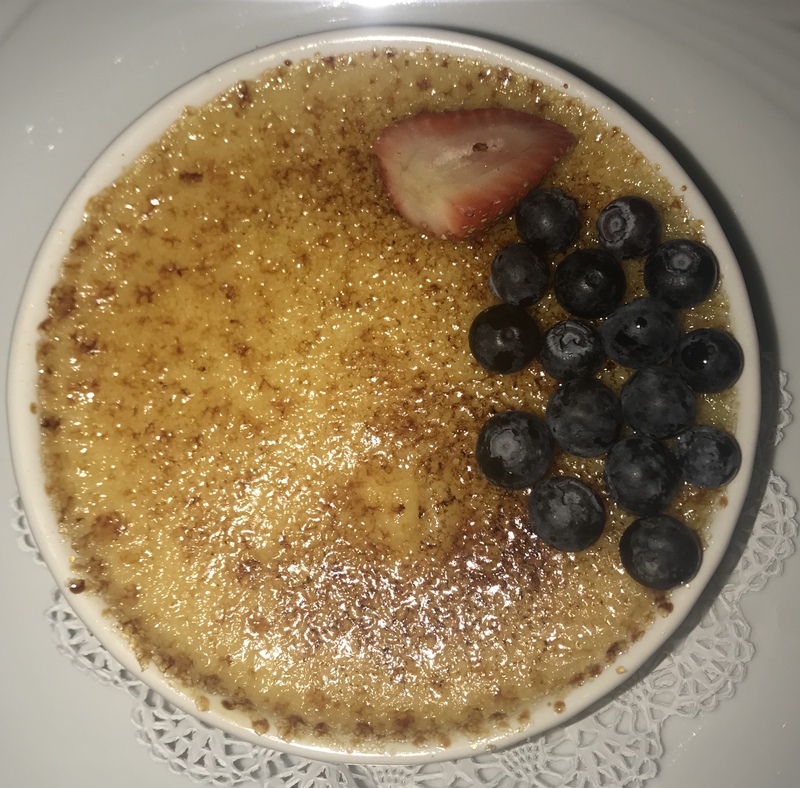 At first, I wasn’t sure if I could eat anything else…but then they said the magic words…CRÈME BRÛLÉE….. MY FAVORITE! 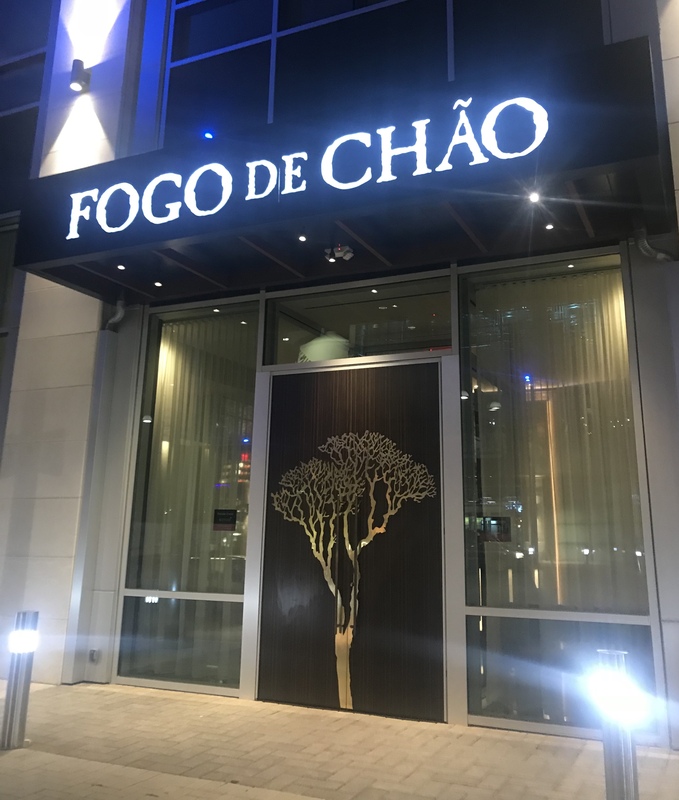 We are very excited about having Fogo de Chão so close to our home… like 20 minutes away! 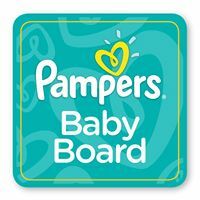 We definitly plan to enjoy more date nights there in the future! You can find more information about Fogo de Chão on their website and you can follow them on Facebook here! Before heading in, make sure you make reservations online!